Lex '@MikuDota' Malinovski, editor in chief at Dota2.ru had the chance to talk with QO last week, and courtesy of the Russian website we are happy to share with you the English translation. For the Russian version head over here. The interview follows MVP’s results in both group stage and main event of TI6 but also gives a glimpse at what the plan is for the next competitive season for the Korean squad. Hi, how are you doing? Hope you had a good trip back! I suppose you are just enjoying your vacation now? Travelling back to Australia soon, spending time with friends but most importantly focusing on the future plan I guess. What do you enjoy doing in your spare time? What are your hobbies and interests? Normally when I have spare time, I play solo rank, maybe sometimes I go out with friends. So there is one guy who decided to chill in his solo queue after his TI and threw like 10 games in a row. Have you heard something about this case? Can you imagine yourself ruining public games for us, mere plebs? 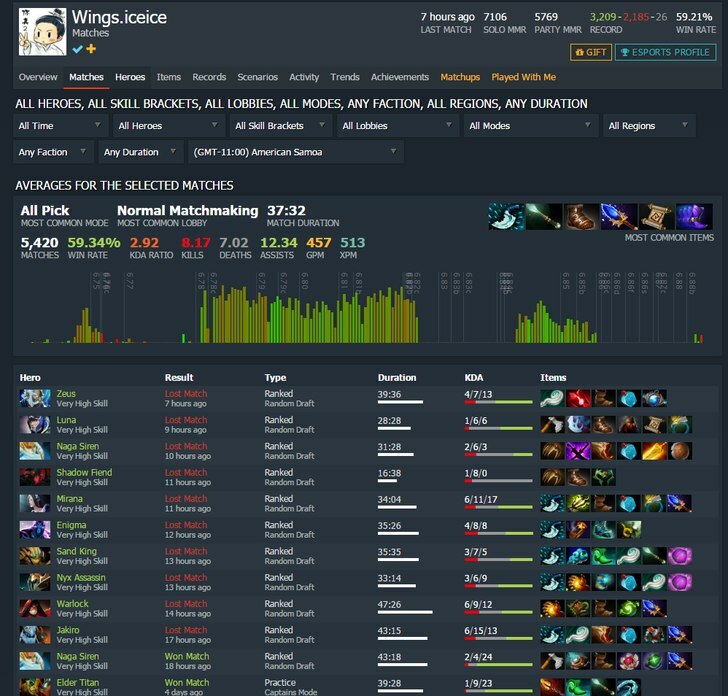 You faced iceice’s team at TI in the semi-finals, and it seemed like Wings simply found ways to counter your play style. What were your thoughts after that series? I think game one made us panic, but if we would have stayed calm and won first game, I think we would’ve won against Wings. OK, let’s start from the very beginning. You team did not win a single game in the group stage. What was the actual reason behind this? Internal conflicts caused us some problems in group stage and it stacked up through the main event. Your first match up in the main event was against OG and it was absolutely amazing. Were you and your team satisfied with your performance on that day? I don’t think I was satisfied at all at with this TI6. What I didn’t like about us the most was that we weren’t prepared to be pressured. The tourney came to an end for you as Fnatic emerged victorious in the winners bracket semi-final. Would you mind stating the main reason behind that loss? Same as the above, we don’t know how to act under pressure. You overcame the best teams from Europe and America. However, what seems like a real issue for you is Fnatic. You haven’t achieved a single victory against them for almost half a year - is it the play style that matters? It feels like Fnatic researches us, they knew where we ward and when and where to gank, unlike us. We don’t prepare too much for online tournaments. Maybe this is the biggest reason for all our losses. Looks like your team wasn’t quite satisfied with how the TI ended for you; by now, two players have already left. Do you consider staying with MVP for the Fall season? First goal was going with the same five men roster, but didn’t work out, I need more time before telling how things will go for me with MVP. It is on everyone’s lips now that Forev is leaving for Europe. Is it actually possible? If so, how would you feel if Forev will actually leave? Right now only MP left, I don’t think Forev is leaving to Europe, we are still negotiating. Heen, the coach for Liquid, is the example of a Korean player having success in Europe, and as far as I know you have played with him a bit. Any words about his personality? Well he is very calculated and reliable with great English maybe this is the reason for his success in Europe. We do have one baller of a guy here at CIS. Resolut1on joined an American team half a year ago and made it to the TI6 grand finals. How would you estimate his and his team’s performance? Would you mind revealing some info on the MVP’s roster for your fans? Currently everyone is considering. For now is only MP who left the team, the rest of us are in a “what to do” stage. All right, so we had a 6.88c patch coming out. What changes would you state as the most important? What features do you think Dota 2 is missing at the moment? What would you implement if you were a Valve’s employee? MMR resets, we need some motivation for old mmr players, I think. There are only two Majors coming in the next season. Do you think Korea might get a Major and if so, is it ready for an event like that? No, there won’t be any Korean Majors. Seoul is considered to be the capital of eSports. I can’t wrap my head around the fact how there have been no premier Dota 2 tournaments in Seoul for the time being. No body actually knows about Dota2 here and it’s really hard to hear or learn what Dota2 is. Do you think CIS can hold a decent Major? They always had decent tournament level! Your team is one of CIS favorites. And one of the most popular CIS casters (GodHunt) broadcasted all of the MVP matches since the very beginning, which is 2013, although they would start around 05:00 A.M in Russia. GodHunt is genuinely happy for your and our team’s success. Any kind words for him and all of you CIS fan base? Thanks a lot for the interview, it was a true pleasure to talk to you! Do MVP have the strength to rise from their own ashes?